Facebook rolled out its video play Watch globally today. Facebook wants to eat just a little more of the internet, launching its video section Watch globally today. Using the Watch tab, viewers will be able to access a feed of recommended videos, as well as a customisable list of content from pages they follow. Rolling out Watch in the United States in August 2017, the social media company has a range of exclusive projects paid for by Facebook — even digital news shows from the likes of CNN and Fox News. But in Australia, Facebook executives have not yet announced any local Facebook-funded or Facebook-only news or entertainment content. Vice-president of product Fidji Simo said it is focusing directly bankrolled efforts on shows that have “global appeal”. Facebook has also pushed sports video from the likes of CrossFit on Watch in America. Matthew Henick, Facebook’s head of content planning and strategy, would not say if the company plans to chase sporting rights in Australia. Unique content, like an exclusive football game, could be critical to drawing eyeballs here, according to Roy Morgan Research CEO Michele Levine. “At face value, you would have to say, if you haven’t really got anything to offer, then it’s hard to see why people would bother,” Ms Levine said. Watch has been online for a year, but Australians may be largely unaware of its more highly-viewed shows, such as the Jada Pinkett Smith-helmed Red Table Talk. Ms Simo claimed more than 50 million people in the United States have come to watch videos for at least a minute in Facebook Watch each month, but the platform is yet to produce a show that crosses over and generates award chatter, as both Amazon and Netflix have. “I think it’s important to be clear that success for us is likely not going to look like the other platforms — a big prestige drama. That’s not really what we’re shooting for,” she added. It’s also about new ways to make money: Facebook is rolling out Ad Break in Australia, which allows publishers to insert mid-roll and pre-roll advertising into their videos. Facebook take a 45 per cent cut of such revenue. Facebook say Watch is not about “a big prestige drama”. To be eligible for Ad Breaks, a page must have created 3-minute videos that have had more than 30,000 one-minute views in total over the past two months. In addition, they must have at least 10,000 Facebook followers, among other parameters. Marc C-Scott, screen media lecturer at Victoria University, said short form video platforms like YouTube Premium were likely to be competitive with Watch rather than streaming services such as Netflix or Stan. “Long-form televisual content is probably not something that we may see on Watch. It’s that shorter form, mobile screen, ‘watch on the tram’ scenario,” he said. Dr C-Scott suggested Facebook’s advantage is its ability to target audiences, based on the sheer amount of data it has about its users and their habits. 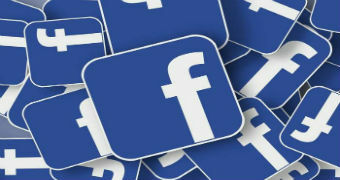 According to the social media giant, it has 16 million active Australian users per month. While YouTube and Facebook have typically relied on user-generated content, the shift to a more curated “TV program section” may change the equation, Ms Levine suggested. “It’s like Netflix and Stan have come from one planet. YouTube and Facebook have come from another planet, but they’re merging,” she added. While Facebook Watch was originally presented as a curated selection of video, it immediately had to contend with familiar accusations about the spread of misinformation and malicious video. In early August, the company removed right-wing conspiracy theorist Alex Jones and his Infowars pages from the platform citing “hate speech”. But critics said the platform took too long to come to that decision. Ms Simo said Facebook’s choice to remove Mr Jones was the right one. She added that the company would be “more conservative” about content it surfaced on the Watch feed. “To be very specific, any page that has had violations for misinformation, or copyright infringement, will not have their videos show up as a recommendation in the Watch feed,” she said. According to Ms Simo, any page on Facebook that posts videos can now appear in Watch. In response to questions about the company’s commitment to Watch, given its past willingness to shift priorities around video product such as Facebook Live, Ms Simo said Facebook is “very invested in Watch”. “We think this is a product that our community has been asking for,” she said. Posted on September 18, 2018, in ConspiracyOz Posts. Bookmark the permalink. 1 Comment.